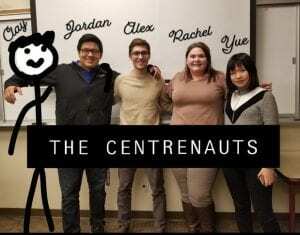 Today marked the last meeting of the Centrenauts in Young 246. On January 3rd, Alex, Clay, Jordan, Yue, and I all entered the room with no connection, but today we left that room as a team of individuals who spent the last couple of weeks creating a game together. I speak for all of my team members when I say that the time we spent inside and outside of the classroom working on Espionaut were times that we greatly enjoyed. We would like to thank Dr. Harney for leading FYS 159. This class provided us the chance to exercise our creativity and cultivate it into something that we and others could enjoy. The lessons we learned throughout the course will affect the ways that we view history (specifically that it is not so much about dates and facts alone, but rather that it is also about processes and contingency) and how we view working with others. “History and Storytelling in Video Games” opened up a creative space that allowed us to have fun during CentreTerm—again I will speak for all of us when I say that that is something we greatly appreciated and enjoyed throughout the term. As I am currently riding in a car to Louisville and suffering from intense car-sickness, I’ll keep this post short and sweet and wrap up by saying that I personally enjoyed every part of this course and I consider myself lucky to have gotten the chance to work with and learn from the amazing people that I met in this class. The opportunities, lessons, and time spent in this class were invaluable and I will carry the things that I have learned in this room with me throughout the rest of my time at Centre. Thanks again, Dr. Harney, and thank you to the rest of my wonderful classmates and, especially, my teammates. I hope you all enjoyed your time in class as much as I did. To kickstart the development of our video game, our team met and had three objectives in mind: to name our team, to choose a topic, and to select our software. Naming a team is hard, but creating a game is harder, so we decided to pick a simple team name so that we could save our brainstorming for the actual project. 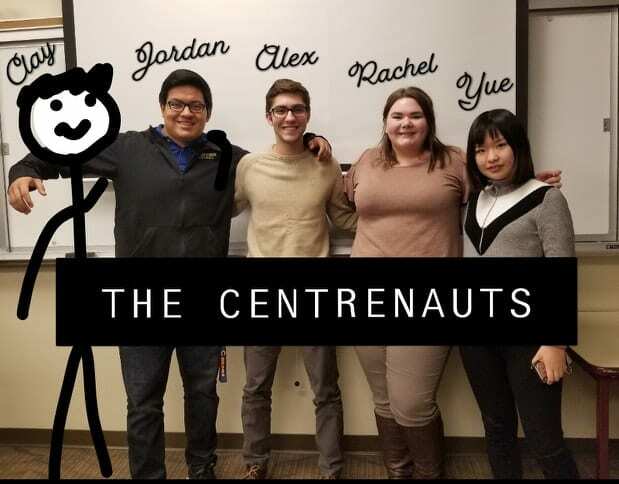 So, our team decided to throw out name ideas until someone said, “Oh, that one sounds cool.” Thus, Jordan Cordoba, Yue Feng, Clay Hundley, Alex Wright, and I became The Centrenauts. With our first objective met, we moved on to brainstorming a topic for our game. This step was crucial, as our overall goal for the day was to select the software to use for our game, which we couldn’t do if we didn’t know what kind of video game we wanted to create. So, our group began forming ideas. Out of the many we had (including, but not limited to, a Chernobyl survival horror game, a counter-factual Native American Revolution RPG, and a story-based Cold War espionage game), our group was really struck by one idea in particular: a role-playing game that follows a spy working for the Allied Powers in WWII-era France. While our team discussed the possibilities of puzzles, code-breaking, multiple endings, and body counts, it became obvious that we only had one choice for software: RPG Maker. 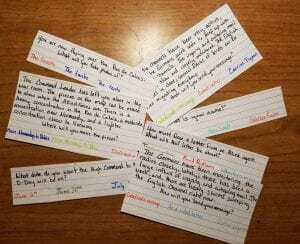 While the Twine software would have been useful for the storytelling of our game, our team wanted a game that focused on action and player-involvement just as much as the story itself. So, Alex downloaded RPG Maker and began the free trial that would carry us through the creation of our spy-thriller RPG. Today’s objectives met, we hope to move on with the development of our storyline, creating a timeline, and familiarizing ourselves with RPG Maker. We’re very eager to begin creating our game and we all look forward to keeping everyone updated on our progress!